Journal Journey and Joy! : Real Fukushima It's 7 years after Fukushima disaster. Real Fukushima It's 7 years after Fukushima disaster. It passed seven years already after Fukushima disaster. Media doesn't broadcast much about Fukushima as used to. The seasonal magazine "Social Movement" featured about Fukushima and Nuclear. Professor, Journalist and Lawyer wrote the article for the magazine. I also wrote the article about "Referendum and Postnuclear power in Europe." 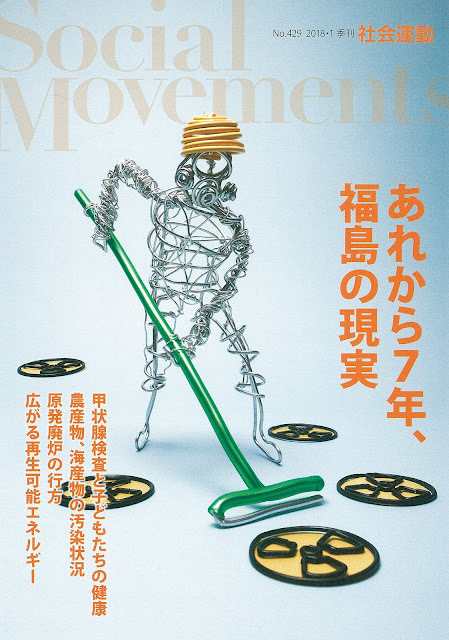 The magazine tells you about Thyroid cancer, Nuclear waste, Fukushima disaster victims and so on.